The annual Connecting Silos conference is designed to bring together a small, balanced group of researchers and practitioners from across disciplines to share best approaches for teaching ethics. All too often, we tend to be isolated in our own silos, talking only to those from our own disciplines and backgrounds. This conference aims to bridge disciplines and bring together an array of professionals devoted to teaching responsible professional best practice across fields. From ethics faculty in business and law to faculty who teach research ethics, and including practitioners from the corporate world, this annual invitational event is interactive, focused on sharing expertise, techniques, perspectives, and curricular materials. Our experience is that this participatory model allows attendees to learn from one another and take away new ideas for use in teaching, enriching all of our approaches to teaching approaches in the areas of ethics and professional responsibility. 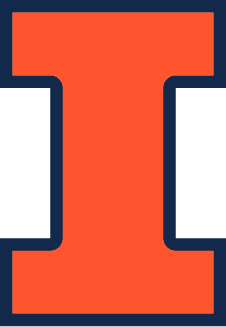 Our sixth Connecting Silos Curriculum Conference takes place on Wednesday, May 29 and Thursday, May 30, 2019, at the University of Illinois at Urbana-Champaign. Through our discussions and keynote addresses, we will continue to explore innovative ways to educate university students about ethical and professional responsibility matters. Our goal this year is to explore environmental and climate issues related to power abuses, bullying, and sexual harassment—and how those of us who teach or exhort for ethics, whether in research or in professional schools, should incorporate these topics more effectively in our curricula and programs. The conference is jointly sponsored by the Center for Professional Responsibility in Business and Society (CPRBS) and NCPRE. For more information, please contact NCPRE at: ethicsctr@illinois.edu or 217-333-1416.